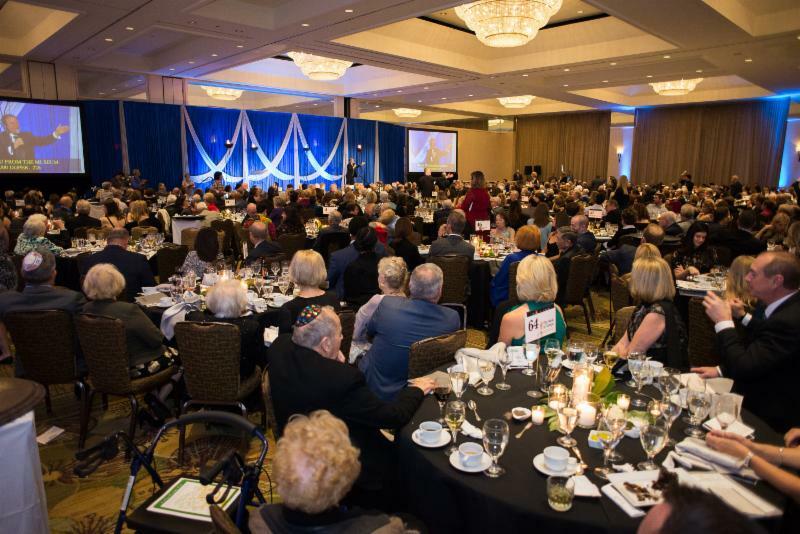 The Florida Holocaust Museum Honors the Past by Empowering the Future at SOLD OUT Gala in Tampa! Empowering the Future at SOLD OUT Gala in Tampa! 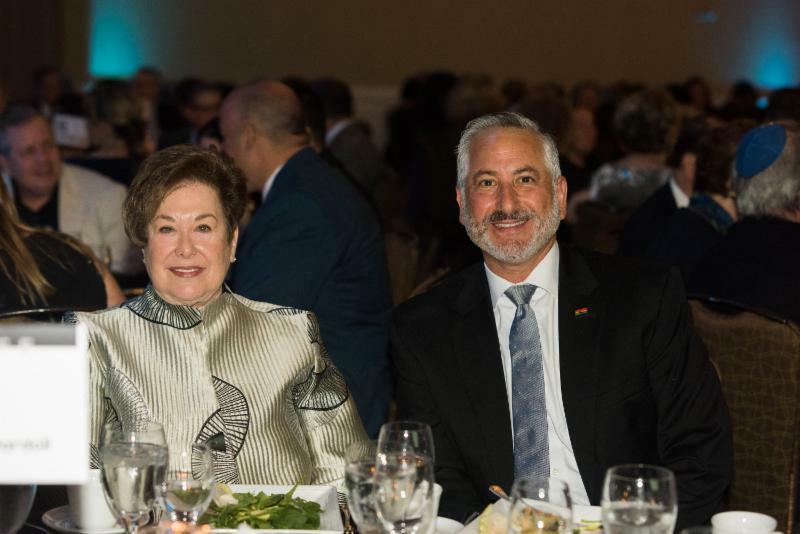 February 21, 2018 [St. Petersburg, FL] - The Florida Holocaust Museum (The FHM) held its annual To Life gala at the Grand Hyatt Tampa Bay last Saturday. 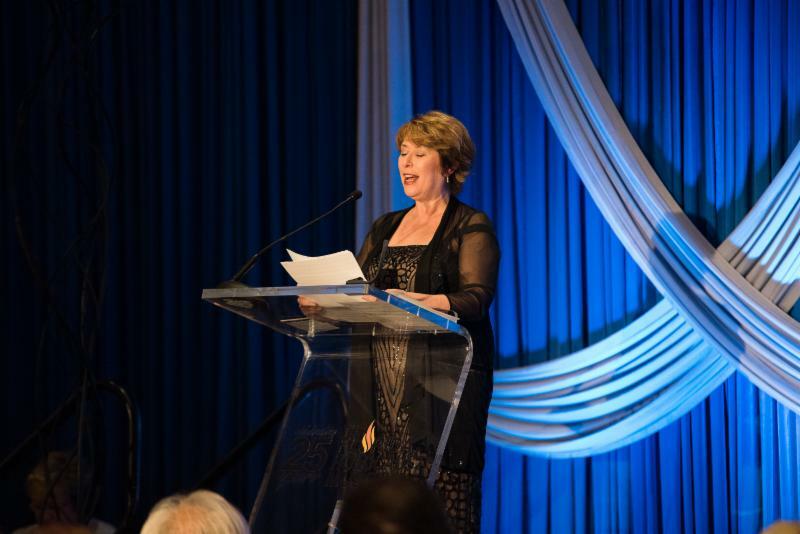 Over 700 supporters of The FHM attended the sold out To Life: Honoring the Past - Empowering the Future gala. 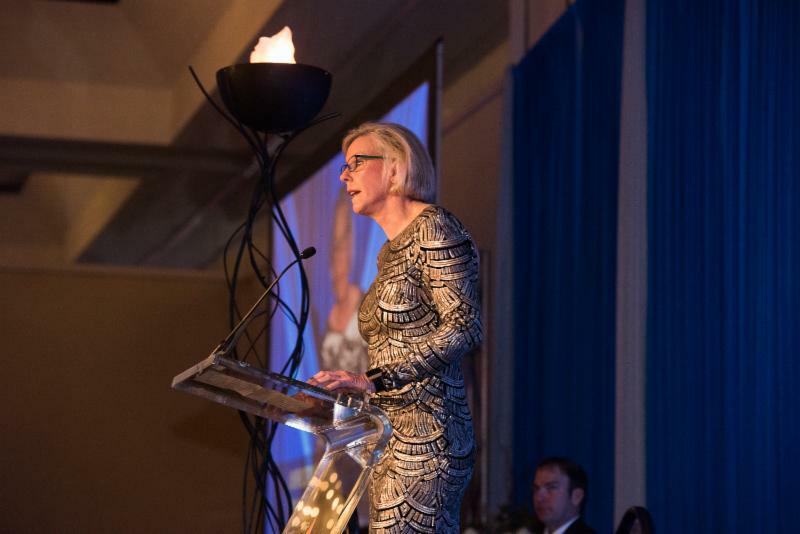 The gala raised over $650,000 to support the Museum's educational and outreach programs and to help the Museum build a new Collections, Preservation, and Research Center. "We are overwhelmed by the generous support we continue to receive from our community," said Elizabeth Gelman, Executive Director of The Florida Holocaust Museum. The FHM's educational and outreach programs are a vital part of its mission. During the To Life program, community advocates Gayle Sierens and Jane Castor took the stage to share their personal stories and express their gratitude for the Museum's dedication to developing and delivering unique strategies empowering people to make positive changes in the world. 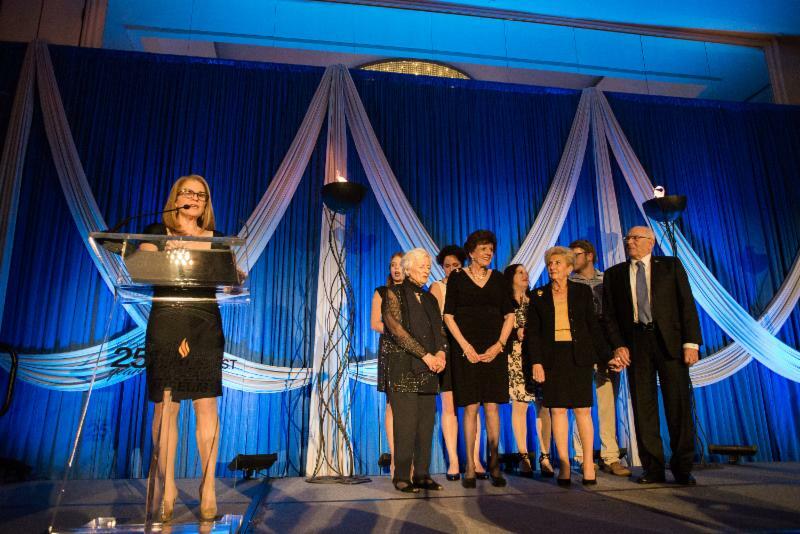 Additionally, The FHM honored four Holocaust Survivors with the Loebenberg Humaniarian Award. John Rinde, Toni Rinde, Lisl Schick, and Mary Wygodski were recognized for their outstanding contributions to the Museum. These four awardees have been part of the Museum since its beginnings, assisting in its very creation, and truly live The FHM's mission. All of the award recipients are prominent ambassadors for The FHM, sharing their stories with student and adult groups inside the Museum and throughout the state, in person, and through virtual appearances. In addition, they have encouraged their families to be involved with the Museum, and many of their children and grandchildren have also begun to share their families' stories with students and visitors, shining examples of the next generations taking up the mantle of responsibility to pass on the important lessons of the Holocaust to future generations. "I feel the most important aspect of The Florida Holocaust Museum's mission is education. It is vital to teach both children and adults the horrific consequences of hatred, prejudice and racism. It is also important that a Holocaust survivor tells his/her story. It is one thing to read about history in a book, but a first hand account from somebody who has lived through this horror is much more effective. 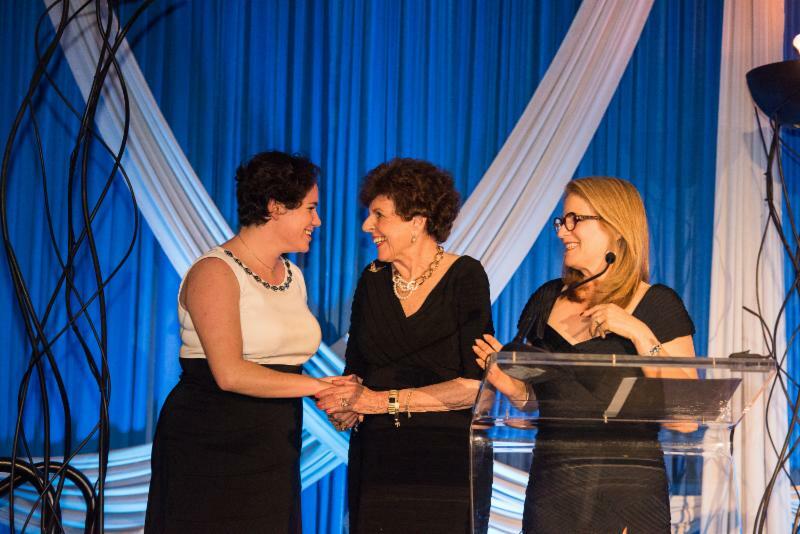 I will continue to share my story as long as I possibly can," said Lisl Schick, Loebenberg Humanitarian Award honoree. The Florida Holocaust Museum is one of only three accredited Holocaust museums in the United States and provides quality Holocaust and human rights education to adults and students. To date, more than 1 million students have learned the concepts of upstander behavior, the rights and responsibilities of living in a democracy, and speaking out against injustice through the Museum's educational outreach. 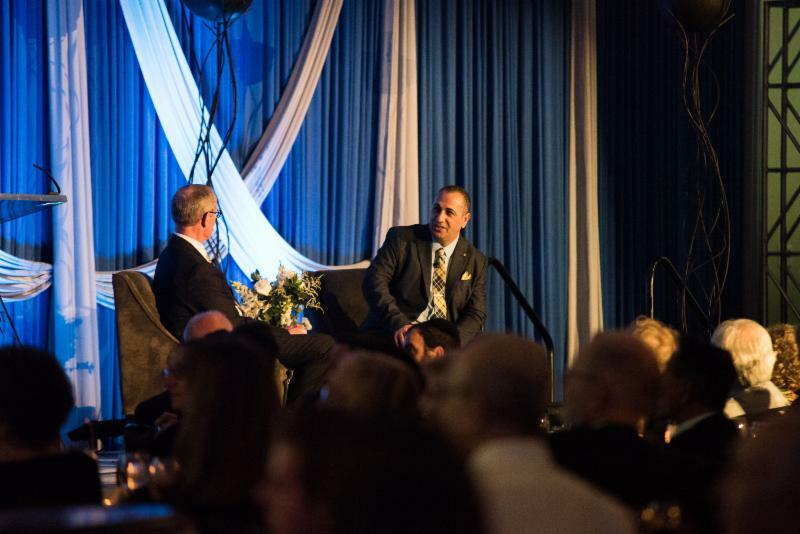 Concluding the program, the To Life gala featured Keynote Speaker, Avner Avraham, who spoke about the blockbuster exhibition Operation Finale: The Capture & Trial of Adolf Eichmann, which opened on February 10th at The FHM. Avraham curated the espionage artifacts featured in the exhibition. This exhibition is the first time the recently declassified Mossad materials have been seen outside of Israel. Over the past seven years, Avraham has dealt extensively with the subject, met with thousands of people, and collected and documented details of the operation. Avraham acquired his vast knowledge in special meetings and interviews with people who took part or were involved in the operation. Operation Finale: The Capture & Trial of Adolf Eichmann is on display at The FHM through July 15, 2018. The FHM invites the community to attend numerous programs, events, and exhibitions, along with its daily educational and outreach efforts, throughout the upcoming year. To learn more about The FHM's upcoming events and exhibitions, visit the Museum online at www.TheFHM.org. Tammy Li and Anita Treiser, To Life: Honoring the Past - Empowering the Future Co-Chairs. St. Petersburg Mayor Rick Kriseman and his wife, Kerry. 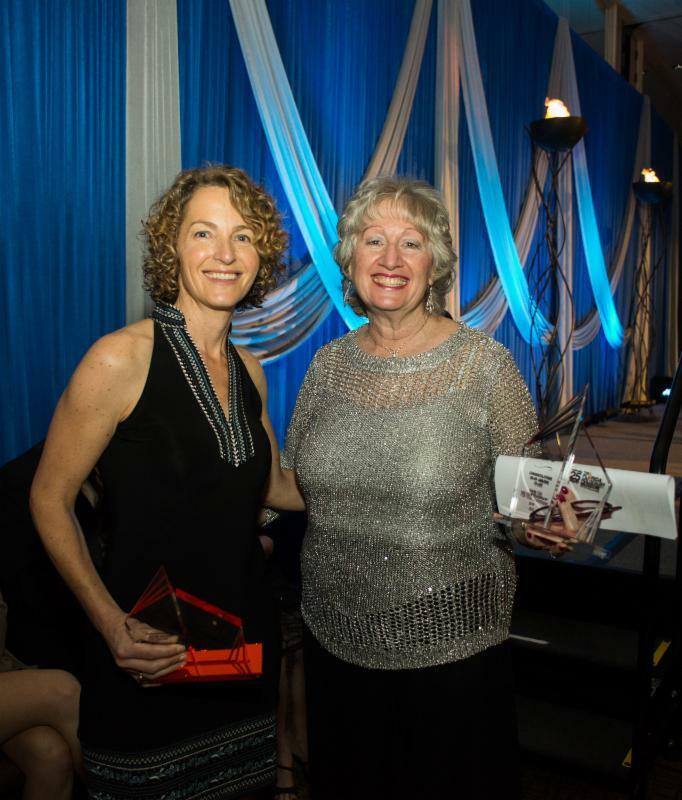 Hillel of the Florida Suncoast student, 2018 Loebenberg Humanitarian Award Honoree Lisl Schick, and The Florida Holocaust Museum's Senior Educator Sandy Mermelstein. The Florida Holocaust Museum's Senior Educator Sandy Mermelstein presenting The 2018 Loebenberg Humanitarian Award to honorees Mary Wygodski, Lisl Schick, Toni Rinde, and John Rinde. 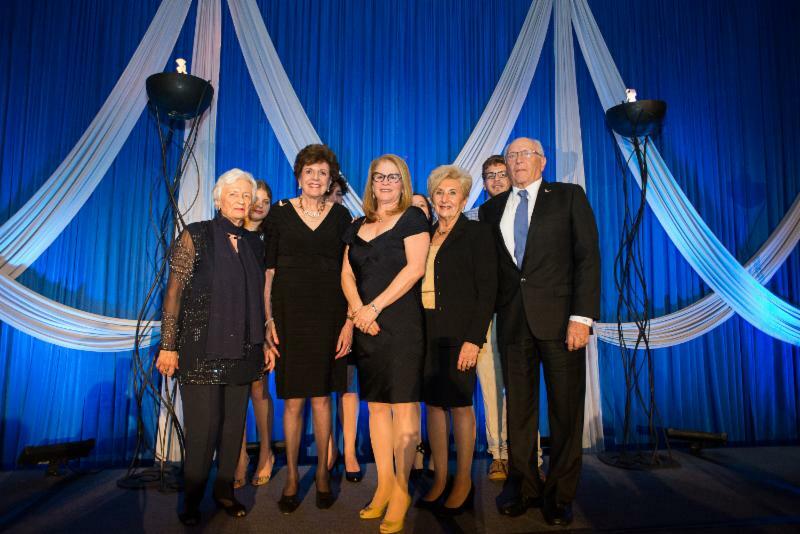 The 2018 Loebenberg Humanitarian Award to honorees Mary Wygodski, Lisl Schick, Toni Rinde, and John Rinde, with The Florida Holocaust Museum's Senior Educator Sandy Mermelstein. 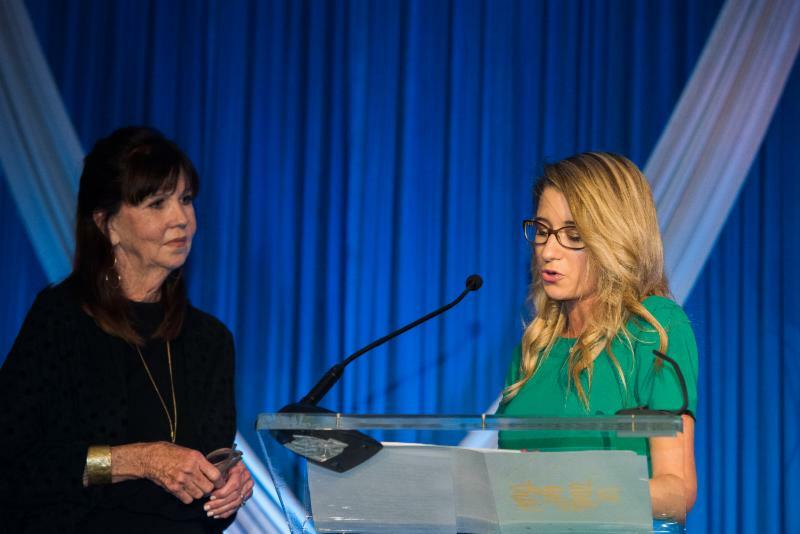 Gayle Sierens and Anne Frank Humanitarian Award honoree Allie Chandler speaking about The Florida Holocaust Museum's Anne Frank Humanitarian Award program. Jane Castor speaking about The Florida Holocaust Museum's Law Enforcement and Society: Lessons of the Holocaust program. The Florida Holocaust Museum's Executive Director Elizabeth Gelman speaking to the audience. To Life: Honoring the Past - Empowering the Future attendees. 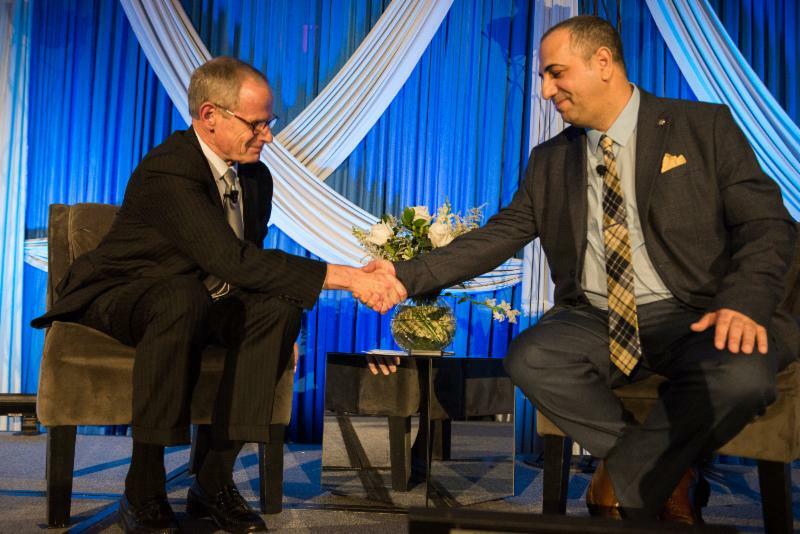 Keynote Speaker Avner Avraham (Mossad agent and curator of Operation Finale: The Capture & Trial of Adolf Eichmann), in conversation with Paul Tash (Chairman and CEO) of the Tampa Bay Times.